Sharing tips on mobile hacking & brewing the coffees! Is adventurous. That’s the best way I can describe it after having spent a month in the rainy city. It is the same experience I encounter when learning a new programming language. 1st, I start with disbelief, then an ‘Aha’. Finally, I get it! I must admit it did take me a few weeks to get it and I had to visit quite a few coffee shops. All with different approaches and value systems. Some doubled as either bakeries or even doughnuteries. Obviously, not every coffee experience was brilliant. There were definitely some let downs but on the whole it was an inspiring experience. What united everyone was their passion, friendliness and willingness to listen and explain. Mucho fun. Brewing a delicious cup of coffee is both an art and a science. Everyone starts from the holy grail of 60g to a litre of water (science). Beyond that, you’re a bit on your own. You start worrying about quite a few variables (art). To make this slightly easier, some good souls (coffee roasters/baristas) have published recipes. These are based on a specific brewing method and honed through daily practice and customer turnover. But recipes do run short as they’re based on a set of assumptions! Two key assumptions are the kettle aka water temperature and your grind - they’re the base for a good extraction. Funnily enough, most recipes get them wrong. They’re either vague, or downright missing. To help you get the most out of your awesome beans, I’m going to walk you through a couple of V60 recipes. I’ll showcase tips on how to deal with the vagueness including tools that will help. Can you easily deploy your Cordova/PhoneGap apps? Houston, we have a problem! It’s failing, our app is constantly breaking UAT - but nothing has changed. Apart from we now build from JS and generate our iOS platform project on the fly. Could that be it? Why would that be it??? Damn Cordova, we should’ve just gone native. At least we could’ve relied on more solid documentation!! After a day of frustration and digging it turns out the culprit is our base SDK set up. Previously, we were configured to run on iOS7+. This gave us the latest and greatest from Safari. Bizarrely, we’re now on a base of iOS5+. Wat! and with dynamic builds how in the name of Steve Jobs can we make sure we’re always configured correctly! In this series I’ll be uncovering the various techniques and tools that can help you get started to manually test a mobile web or hybrid app. Manual testing is a great way for verifying layouts and basic functionality. Automated tests afford us more verification but require a different set of tools and deeper understanding that’s not part of this series. In [part 1](how-can-i-test-my-responsive-mobile-app-part-1), we tested with online and browser plug-ins to capture bugs. In [part 2](how-can-i-test-my-responsive-mobile-app-part-2), we focused on emulators and mobile web apps. Setting up a Cordova based app. Testing with a local iOS simulator. Testing with a local iOS simulator minus Xcode. Testing with a local Android emulator minus Eclipse. Workarounds for testing with cloud based emulators. I love coffee, a lot. Luckily, I live in London town where the current crop of brilliant cafe’s and roasters has left me spoilt for choice. I’ve sampled the basics from the likes of Monmouth all the way to the ultra refined from Prufrock, Dunne Frankowski and Workshop to name a few. I’ve nurtured a taste for the humble filter coffee. Actually, humble is a major understatement as the flavours are as complex as vintage wine. Brewing a filter is a delicate business something that a Hario V60, Kalita Wave and the awesome Chemex do really well. Not to mention the clean finish that you get from Siphon brews. 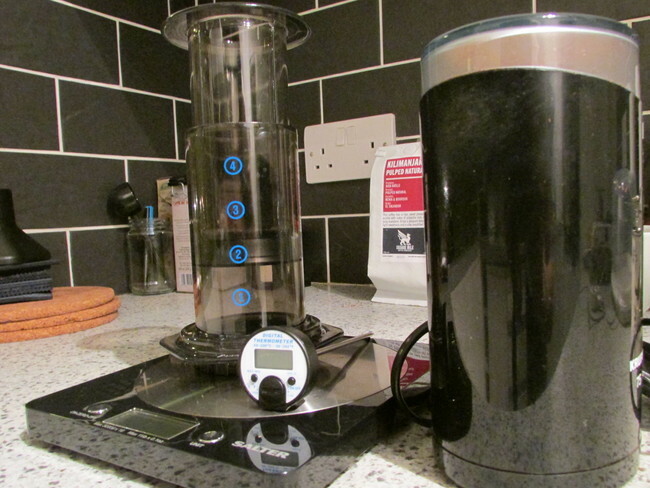 However, when it comes to taste the only device that has genuinely captured my imagination is the clever, simple and durable Aeropress! In this series I’ll be uncovering the various techniques and tools that can help you get started to manually test a mobile web or hybrid app. Manual testing is a great way for verifying layouts and basic functionality. Automated tests afford us more verification but require a different set of tools and deeper understanding that’s not part of this series. Testing with cloud based emulators. Testing with a local iOS based emulator aka simulator. Testing online using viewport resizing sites. Testing with viewport resizing browser plug-ins.